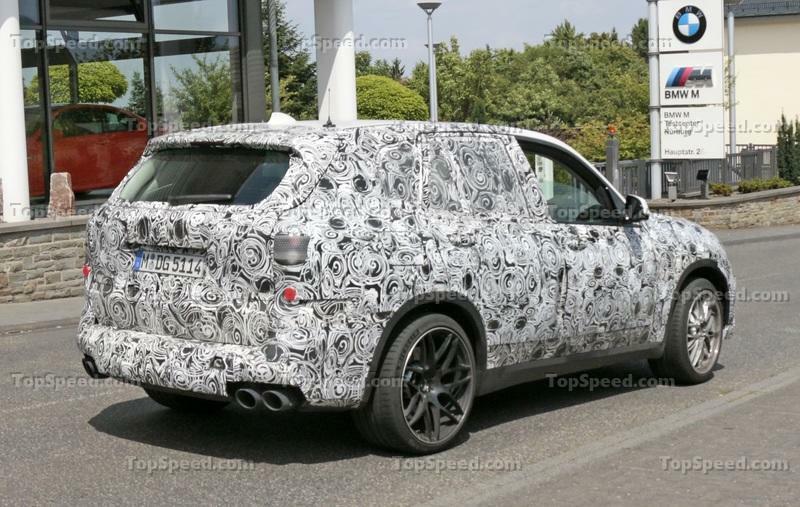 This time around, the X5 M was caught without a ton of plastic cladding hidden behind foil. To put it simply, the front end has changed…a lot. This prototype now features an unwrapped, production grille and BMW has finally opened up the corner vents as well. Even the air dam has been opened up, and it’s a quite a bit larger and more dominating than that of the current model. There are also two smaller on the very bottom of the fascia in the corners When we look at the X5 M from the rear view, it looks like this one might actually sport some mild fender vents and the rear fascia is going to be more chiseled than ever. Official taillights are now in place with their new LED matrix (never mind the non-functional light on the driver’s side of the rear hatch), and the tailpipes are now round and ready for the obligatory chrome treatment. Expect a debut to happen sometime in Summer of 2019 or at the Frankfurt Auto Show in the 3rd quarter of 2019. 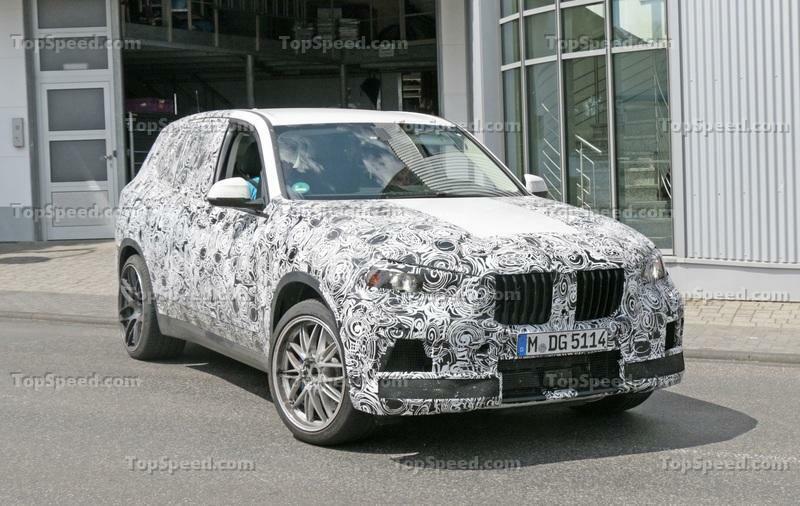 We’ve already spotted numerous prototypes of the X5 M, but all of them are still camouflaged to the teeth. 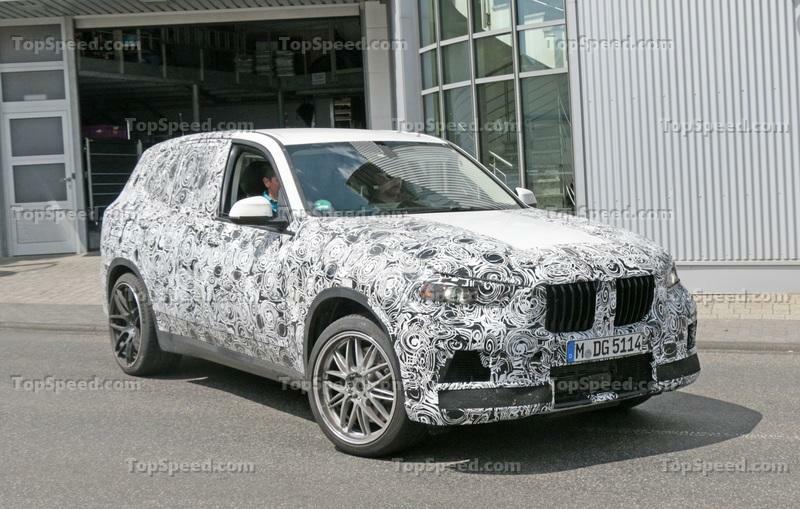 However, with the new X5 out in the open, the performance SUV’s design is no longer a mystery. Much like the regular hauler, the X5 M will get bigger everything up front. That includes a wider and taller kidney grille with single-piece surrounds, larger outlets on each side of the bumper, and redesigned center vents. The bumper will also feature a more aggressive design with a splitter-like element at the bottom. Adaptive LED headlamps will be standard, but you’ll be able to upgrade to the new BMW Laserlights with blue, x-shaped elements. The side view will remain similar to the outgoing model, but there are a few noticeable changes to talk about. The beltline sits a tad lower and it’s a bit more exciting to look at as it ascends toward the back. There’s also a new vertical vent in the front bumper. The reshaped glasshouse will get black trim as standard, while the side skirts will grow bigger. 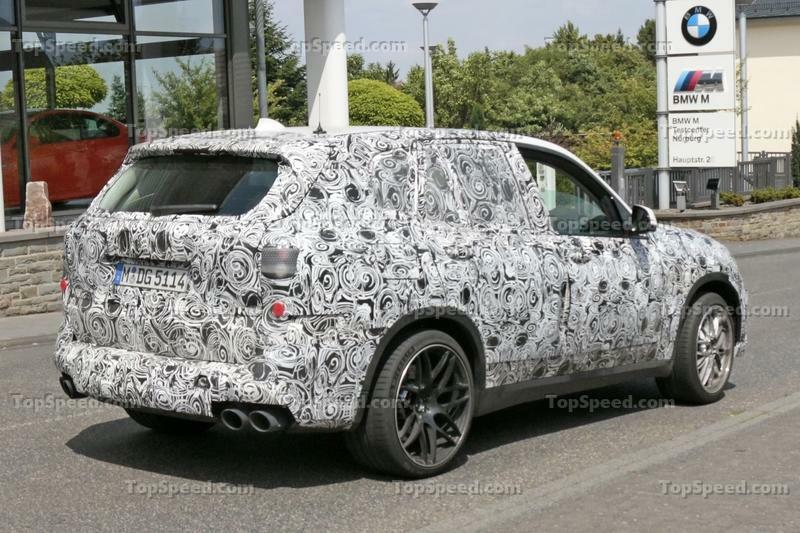 The SUV will ride on new lightweight wheels, likely with a multi-spoke design. The standard model comes with 19-inch rollers, but the X5 M will probably get bigger 21-inch rims. The options list should include 22-inch wheels as well. 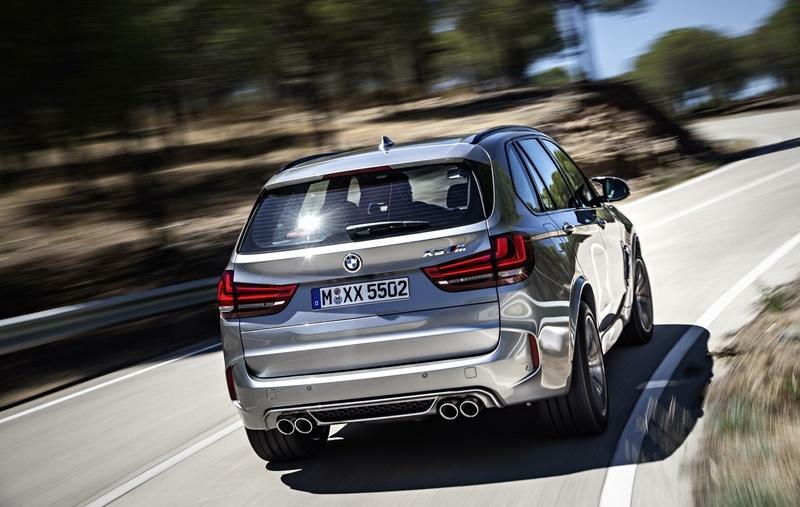 Around back, the M model will benefit from the X5’s wider stance thanks to slimmer and longer, two-piece taillights and numerous horizontal lines in the tailgate and bumper. These will be complemented by a larger roof spoiler, a motorsport-inspired diffuser, and a quad-exhaust configuration with large tailpipes. 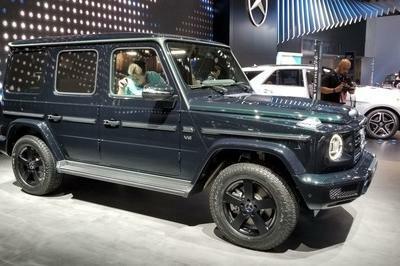 The package should be rounded off by a couple of unique exterior colors and a range of optional carbon-fiber elements. Dimension-wise, the new X5 M will be a tad bigger than its predecessor. The standard SUV is 1.1 inches longer, 2.6 inches wider, and sits one inch higher. Of course, since the X5 M will ride on a sportier suspension, it won’t seem as high as the regular X5. The wheelbase will increase by 1.6 inches. The interior of the X5 was redesigned from a clean sheet and every single feature will make it into the M model. 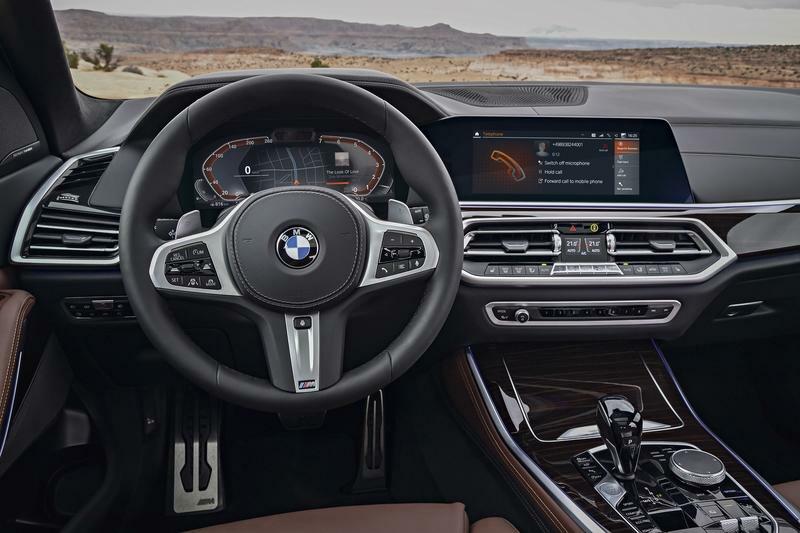 The dashboard feels more modern now thanks to its sweeping horizontal lines and electroplated trim elements, while the center stack looks cleaner thanks to most controls being reassigned to the new iDrive infotainment system. The latter is operated through a new controller on the center stack, as well as the big, 12.3-inch screen atop the center stack. The new instrument cluster is also all-digital and measures 12.3 inches. The two displays are connected visually in what looks like an attempt to match the single screen look in the Mercedes-Benz S-Class. It’s not quite the same though, as the displays aren’t mounted under the same hood as in the Merc. Still, the screen share the same graphics which helps with the shared look. Speaking of that, the instrument cluster features an interesting design for the speedo and rev counter "gauges," which are displayed so that they determine the outer edges of the display. Navigation data is shown in the center, alongside other info, based on the modes you select. In the M models, the "gauges" will probably have a more aggressive design. Moving over to the center console, it’s covered in gloss-finished wood trim, while the controlled section has electroplated parts. 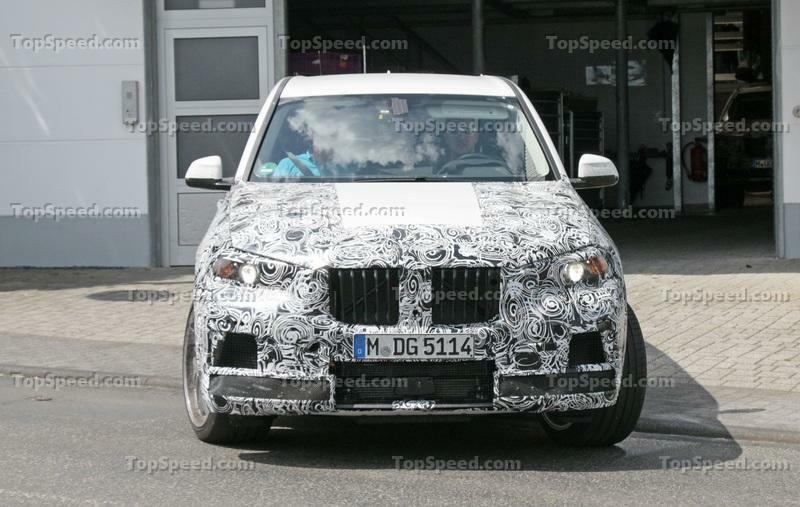 The X5 M will probably get carbon-fiber in this area, as well as on the dashboard. The comfortable seats in the SUV will be replaced by sportier units wrapped in leather and Alcantara. These seats will provide better lateral support to those who want to take the X5 M on the race track. However, they might not be as comfortable for long trips. The latest-generation of the iDrive system comes with many hardware upgrades, including new haptic controls on the iDrive controller, an advanced tablet-like touch interface, and new graphics. New tech also includes a four-zone air conditioning system and a Welcome Light Carpet, which illuminates the entry area to the car when the doors are unlocked or opened. Cool optional features will include remote engine start and heated and cooled cup holders in the center console. The new X5 also has a panoramic glass roof with a 30-percent larger see-through area, but the X5 M might not get it if BMW decides to go with a carbon-fiber roof. Due to the longer wheelbase and improved packaging, the X5 M will offer a bit more legroom and shoulder room for both front and rear passenger. On the flipside, the X5 lost about 11 percent of its trunk space, so expect the X5 M to swallow less luggage than its predecessor (and the competition too). There’s no hint as to what engine will lurk under the SUV’s hood, but it’s very likely that BMW will continue to use the twin-turbo, 4.4-liter V-8. The engine was "fundamentally upgraded" in the xDrive50i version of the X5 and cranks out 456 horsepower and 479 pound-feet of torque. That’s a small 12-horsepower improvement over the previous model, but the V-8 now pushes a lighter SUV. As always, the V-8 in the X5 M will get a host of upgraded internals, which should translate into more power, enhanced fuel economy, and better reliability. While the current V-8 is no slouch at 567 horsepower and 553 pound-feet of torque, BMW is reportedly aiming for at least 600 horsepower, to go with more than 570 pound-feet of twist. 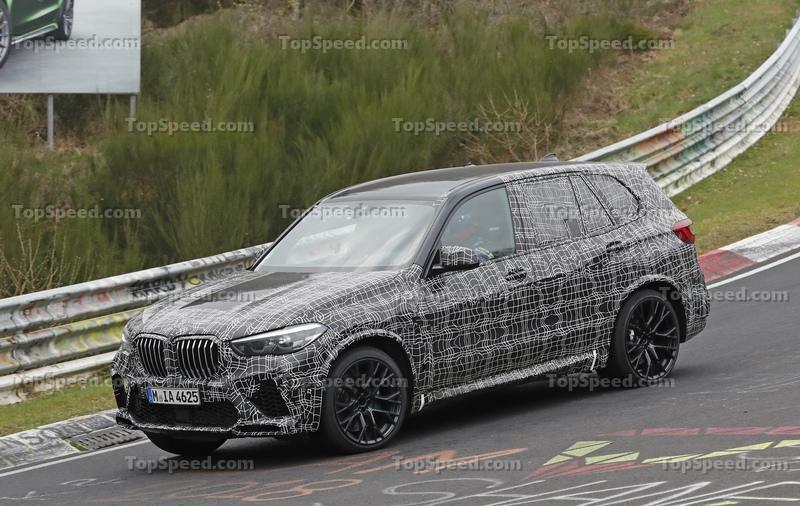 The extra 30 to 50 horsepower would not only make the redesign worth while, but would also put the X5 M in a better position against the Mercedes-AMG GLE63, which will deliver 603 horses and 627 pound-feet in its range-topping S version. The fact that the new CLAR platform is lighter will also make the upcoming SUV significantly quicker and more agile and fun to drive. 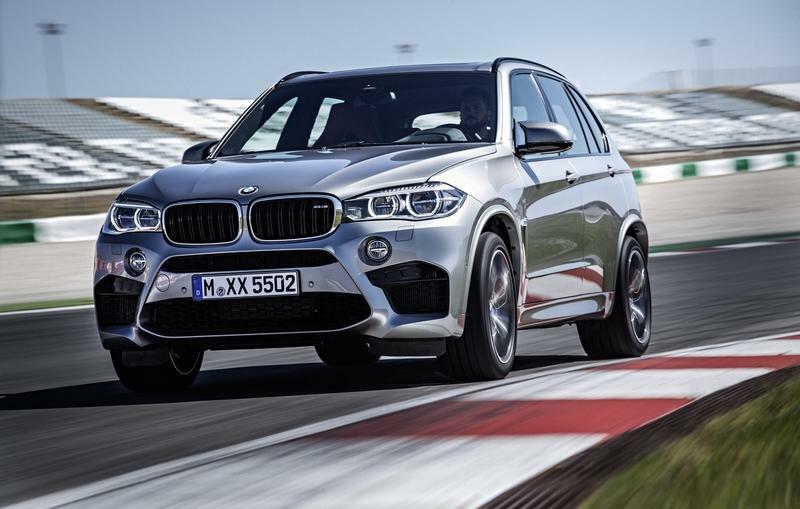 While the outgoing model needs four seconds to hit 60 mph from a standing start, the new X5 M could get there in as quick as 3.8 clicks. Top speed will probably remain locked at the usual 155 mph, but an optional performance package will increase it to more than 170 mph. The eight-speed M Steptronic automatic transmission should get a big update for quicker shifts. The xDrive system, also revised, will be standard. Big upgrades are to be expected in the chassis too. 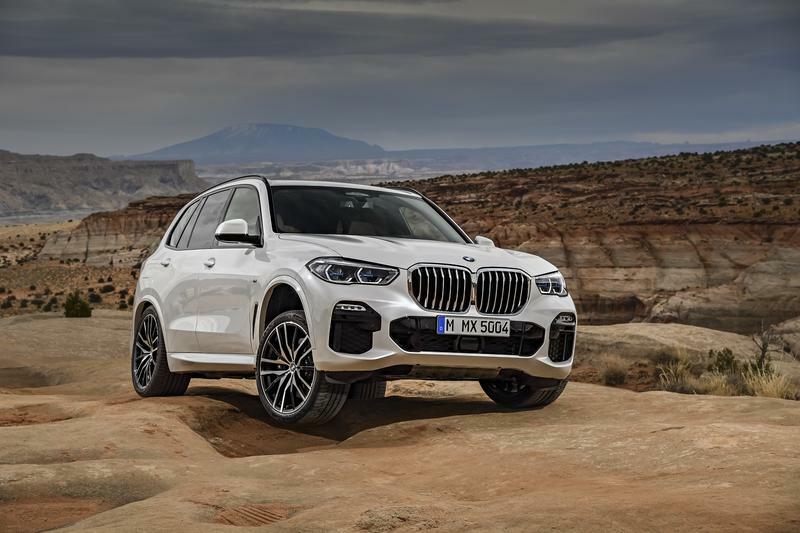 The new X5 rides on a redesigned chassis based on double-wishbone front axle and five-link rear axle that deliver improved dynamics and traction in rough terrain. A Dynamic Damper Control system is standard, with electronically controlled dampers that sharpen handling dynamics and increase ride comfort. 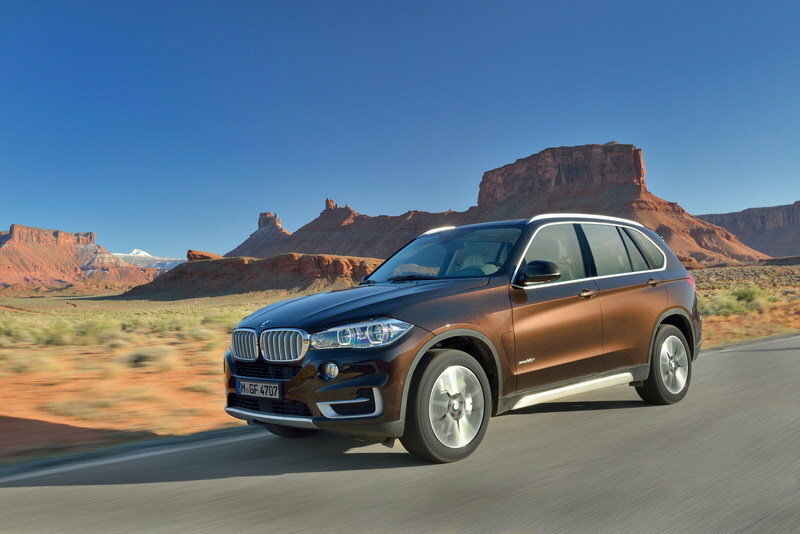 The Adaptive M suspension with active roll stabilization and Integral Active Steering, which is optional on the X5, will be standard on the X5 M and will further enhance agility. 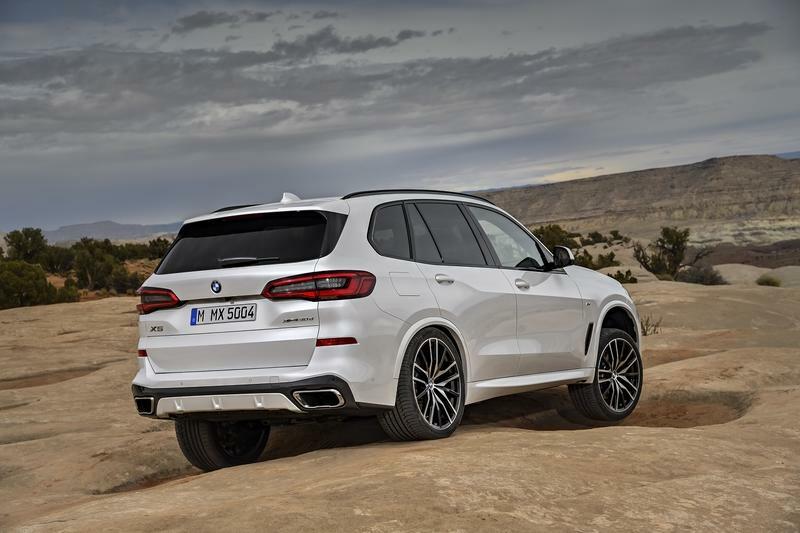 Arguably one of the most interesting news is that the X5 gained an off-road package for the very first time. 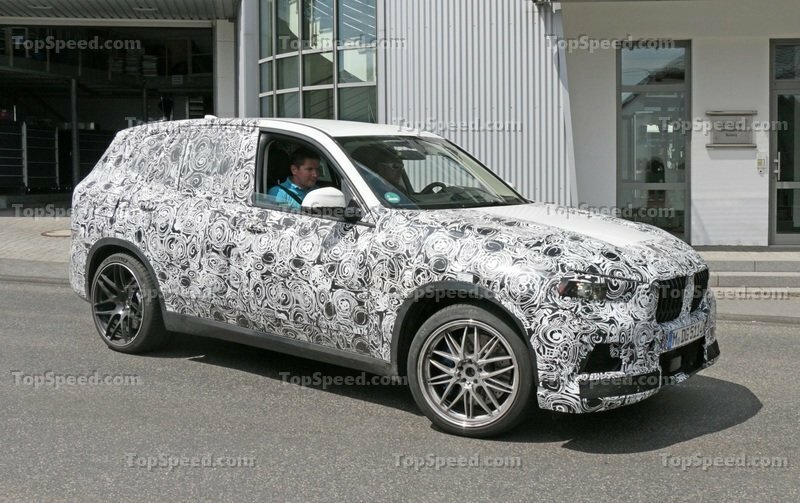 There’s no word on whether this bundle will be available for the X5 M too, but if BMW decides to use it, it will add rugged underbody protection at the front and rear of the vehicle, along with the two-axle air suspension and an electronically controlled rear differential lock. 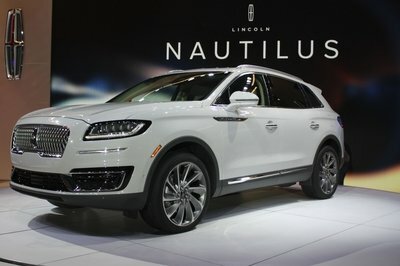 Moving over to driver assist features, the SUV will be equipped with the Active Driving Assistant, which includes Blind Spot Detection, Lane Departure Warning, Rear Collision Warning, Frontal Collision Warning and Pedestrian Warning with City Collision Mitigation, Cross Traffic Alert Rear, and Speed Limit Information. There will also be an Emergency Stop Assistant, which comes in when the driver is suddenly incapacitated because of a medical emergency. The system is activated by pulling the electric parking brake switch and brings the vehicle to a complete stop either in the current lane or at the edge of the road. The new Park Assistant Plus will make parking easier. 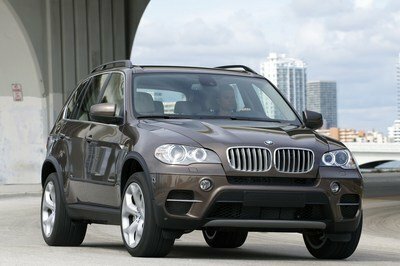 As it always happens with redesigns, pricing of the fourth-generation X5 M should be higher than the outgoing model. It’s tough to predict how much since it could be a hike of anywhere between $2,000 to $6,000. But with the current model priced from $100,700, it’s safe to assume that you’ll have to pay at least $103,000 to take the next X5 M home. Six years old as of 2017, the GLE is a bit long in the tooth compared to the current X5 M. And although the latest upgrade dates back to 2015, Mercedes-Benz needs to act fast in order to not fall behind. Still, the current GLE63 is quite the performer, as the 5.5-liter V-8 is good for 550 horsepower and 516 pound-feet of torque in standard guise. Upgrade to the S model and output jumps to 577 horses and 561 pound-feet. Sprinting from 0 to 60 mph takes 4.1 seconds in the latter and 4.2 clicks in the former. This is obviously slower than the current X5 M, but the next-gen model should be able to achieve the benchmark in four seconds or less. 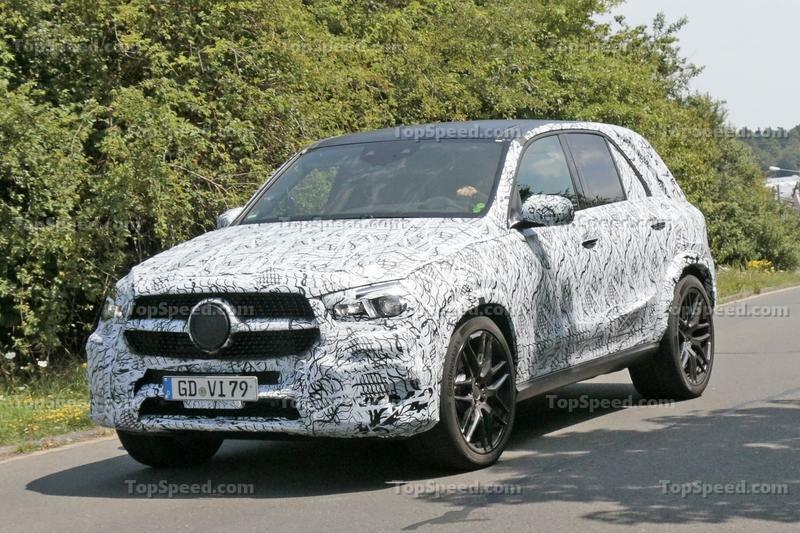 However, it remains to be seen whether the next GLE63 S will be at least as quick as the upcoming X5 M. The new GLE63 will have a twin-turbo, 4.0-liter V-8 rated at 563 and 603 horsepower, respectively. Pricing for the current model starts from $102,550, but this sticker could jump to nearly $108,000 with the redesign. 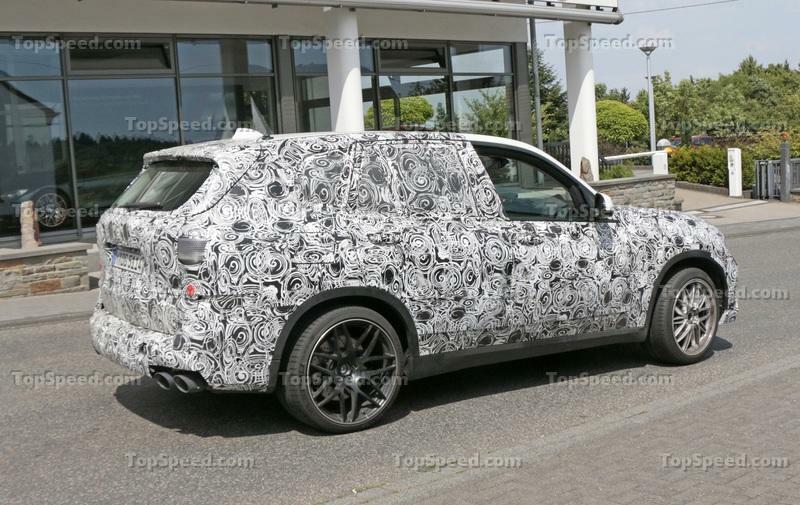 Read our speculative review of the next Mercedes-AMG GLE63. Redesigned for the 2019 model year, the Cayenne is as impressive as performance SUVs get, especially in Turbo guise. Powered by a twin-turbo, 4.0-liter V-8, the Turbo model comes with 550 horsepower and 570 pound-feet of torque, which enables it to reach 60 mph in a scant 3.7 seconds with the Performance Start option. 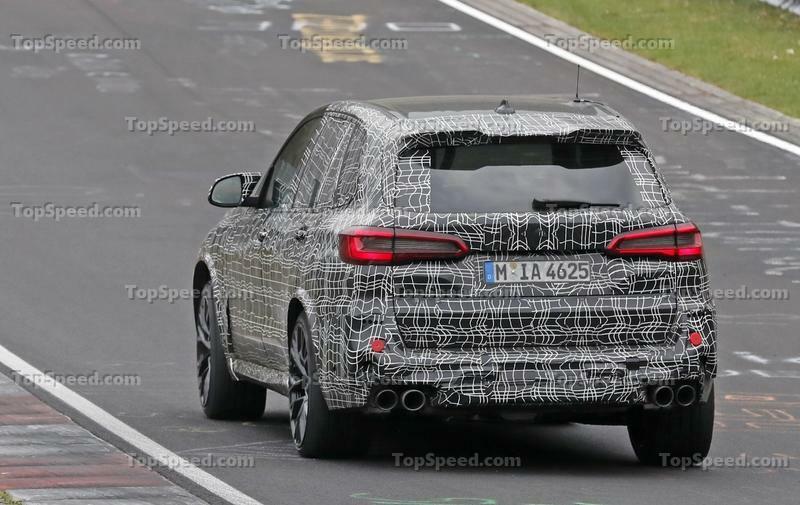 While it’s not as powerful as the upcoming X5 M, there’s a chance it will be as quick as its German rival. The good news for Porsche fans is that a Turbo S model is also underway. 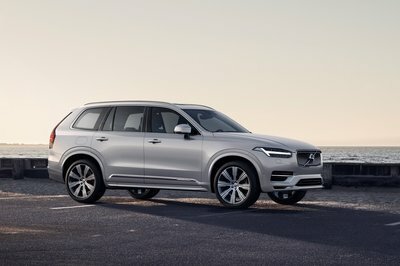 The current SUV benefits from 570 horsepower and 590 pound-feet of torque, so the new model could get close to 600 horses and more than 600 pound-feet of twist. Given the figures and the performance of other turbocharged Porsche models, there’s little doubt that the Turbo S will be the quickest of the bunch. On the flipside, the Cayenne Turbo is significantly more expensive that the competition. While the Turbo retails from $118,100, the Turbo S fetches $161,600 before options. 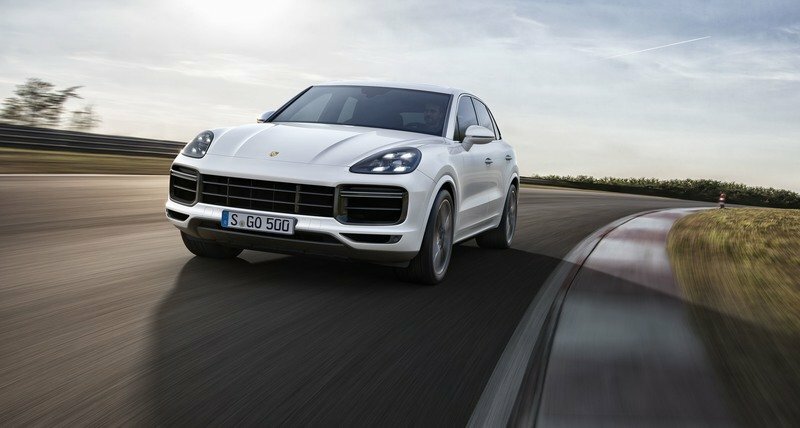 Read our review of the 2019 Porsche Cayenne Turbo. Based on the already hot-looking Levante, the Trofeo is a performance update aimed straight at the BMW X5 M and Porsche Cayenne Turbo. Fitted with a handful of aggressive exterior elements and a few bespoke features inside the cabin, the Trofeo also gained the twin-turbo, 3.8-liter V-8 engine from the Quattroporte sedan. Assembled by Ferrari in Maranello, the mill was upgraded to generate 582 horsepower and 538 pound-feet of torque,a whopping 158 horsepower and 110 pound-feet over the Levante S. The sprint to 60 mph comes in 3.8 seconds in this configuration, while its top speed is rated at 187 mph, higher than most every other SUV available right now. The Q4 all-wheel-drive system is standard, but the Trofeo also uses a retuned chassis and a new Corsa driving mode that improves engine response and dynamics. 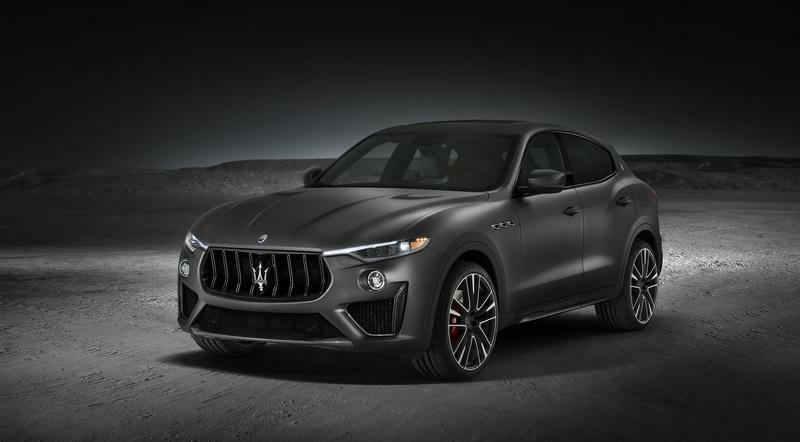 Pricing information is not yet available, but with the Levante S priced from $86,100, the Trofeo will probably cost in excess of $120,000. Read our full review on the 2018 Maserati Levante Trofeo. 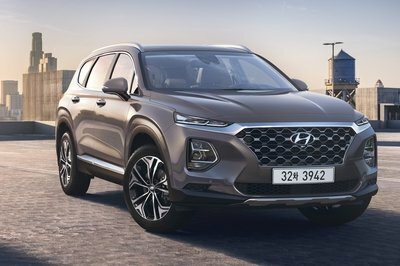 While the performance SUV market has gained a lot of traction in recent years, this segment is still young and not very populated. You’d be hard pressed to find a proposition outside the X5 M, Mercedes-AMG GLE63, Porsche Cayenne Turbo, and Audi SQ7, which is why the Bimmer has been so successful. Granted, it’s not due only to the lack of stiff competition. The X5 M is indeed one of the quickest SUVs you can buy, it handles brilliantly, and has a lavish interior, but it has a few downsides, such as not being exactly suitable for daily driving in the city. But to be honest, BMW doesn’t have much to fix aside from a fresh design inside and out and new technology. The X5 M isn’t for everyone and if you like comfortable rides, it’s best to stay away. On the other hand, if your goal is to go incredibly fast, the Cayenne Turbo S might be the better option. Read our full review on the 2017 BMW X5 M.
Read everything we know about the 2019 BMW X5. Read our full review on the 2017 BMW X5.